SYNOPSIS : A retired cop from India while on a trip to USA solves a series of clueless crimes in his neighborhood, relying only on his power of reasoning. SYNOPSIS : Horror movie directed by Lawrence Raghavendra. DIRECTOR : Eduardo W. Roy Jr.
SYNOPSIS : Film director Mayessa turns her personal heartbreak story into a movie after producers pressured her to make another romantic film. SYNOPSIS : Jersey was played by Natural star Nani, who is waiting for a comeback after two failures. Jersey is a story about a 36 year old boy Arjun, who fails to know his talent at early age. SYNOPSIS : Violet is a shy teenager who dreams of escaping her small town and pursuing her passion to sing. With the help of an unlikely mentor, she enters a local singing competition that will test her integrity, talent and ambition. Driven by a pop-fueled soundtrack, Teen Spirit is a visceral and stylish spin on the Cinderella story. 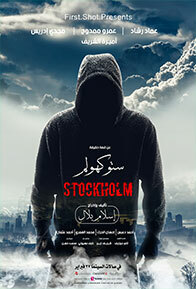 SYNOPSIS : Based on the absurd but true 1973 bank heist and hostage crisis in Stockholm that was documented in the New Yorker as the origins of the 'Stockholm Syndrome'. SYNOPSIS : It is the story which narrates the history of raja ,the story is about a don in madhura raja and his actions. SYNOPSIS : A pair of high-frequency traders go up against their old boss in an effort to make millions in a fiber-optic cable deal. SYNOPSIS : The lives of three men sharing the same name intertwine, leading to a series of hilarious incidents. SYNOPSIS : A hit contract is taken out on a billionaires daughter intent on bringing down a major crime syndicate. A down and out team of mercenaries must take on a group of professional assassins and stop them before they kill their target. SYNOPSIS : In God's own country, the supreme leader of the ruling party dies, leaving a huge vacuum in not only the electoral and leadership sphere of the party but also that of the state. Please validate your ticket at the pay machine, before returning to your vehicle.